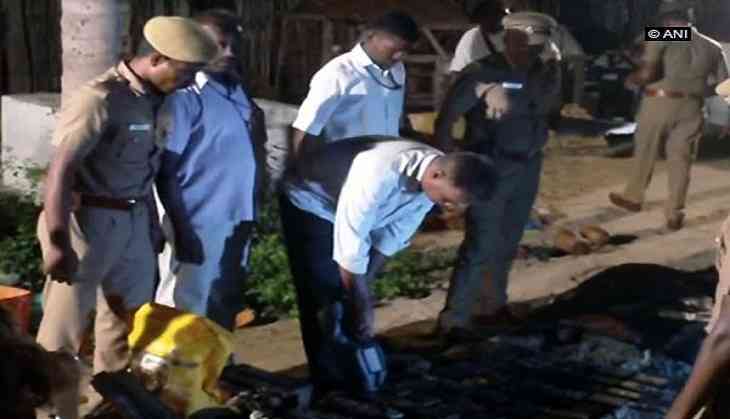 The Ramanathapuram district police has recovered a huge cache of ammunition and explosives on a coastal hamlet near Thangachimadam's Rameswaram island. The police suspect that the buried explosives are from the 1980s and belong to the Liberation Tigers of Tamil Eelam (LTTE), a military organisation that fought for separate Tamil Eelam (land) for Tamils in Sri Lanka. According to media reports, a resident of Anthoniyarpuram found a box of bullets while constructing a septic tank, following which he alerted the police. In immediate action, police dug up the spot and found a huge cache of trinitrotoluene detonators, detonator launchers and over 50 boxes of ammunition.